1. Any Time Payment machines, Canara Bank ATM's, Mobile Van in PESU Area. In this article we will cover step by step procedure to enable you to make online payment of SBPDCL electricity bill. You need to be ready with your CA no. which can be found on your electricity bill as shown below. 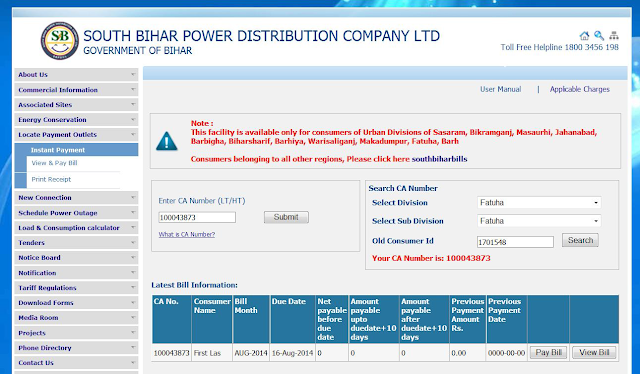 Click on Search CA Number as shown above. You will then be asked to select your division and sub division along with old Consumer ID as shown below. Your CA number will then be shown below along with the latest bill information. 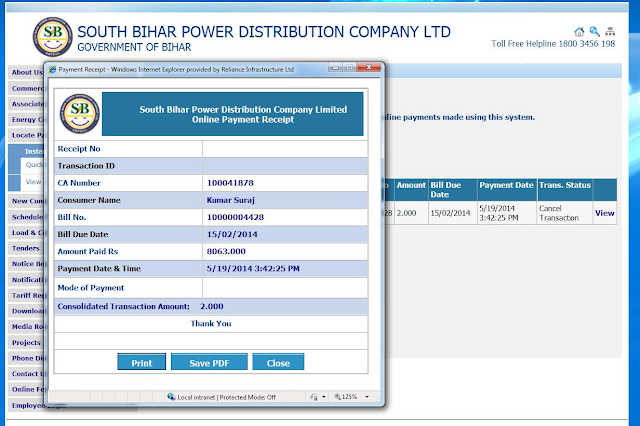 You can now make payment of the bill by visiting the home page https://www.sbpdcl.co.in/. 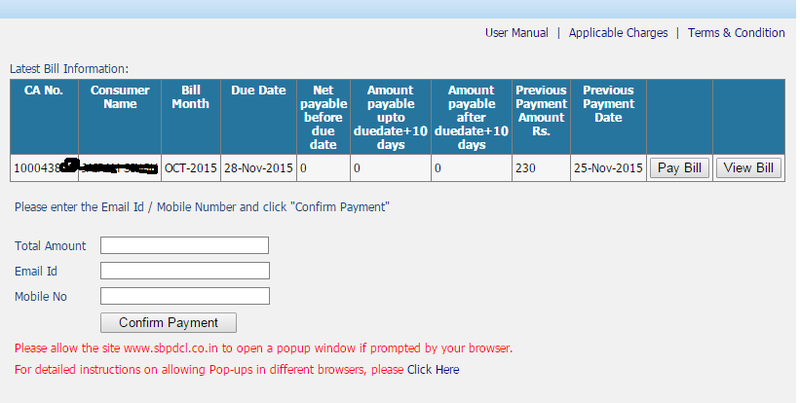 Enter your CA number and click on the arrow to start the process to make the bill payment online as shown below. You can make payment of the bill by entering the Total Amount, Mobile No and E-mail ID as shown below. 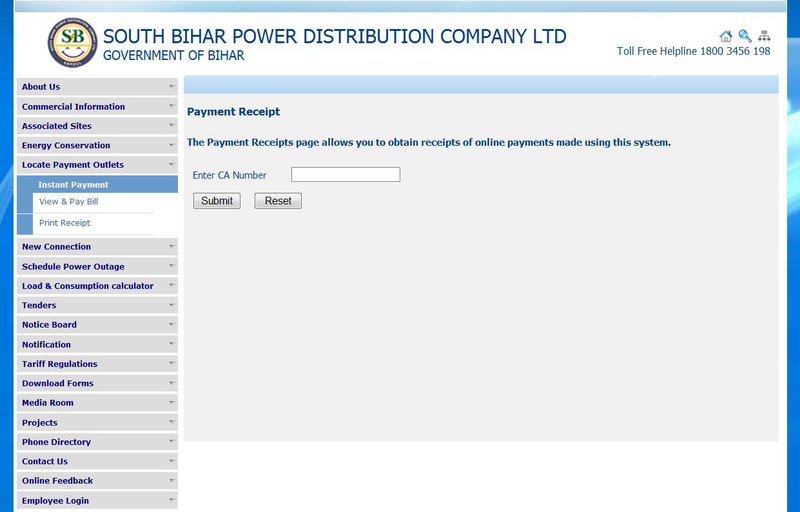 Click on Confirm Payment to proceed to the payment page. 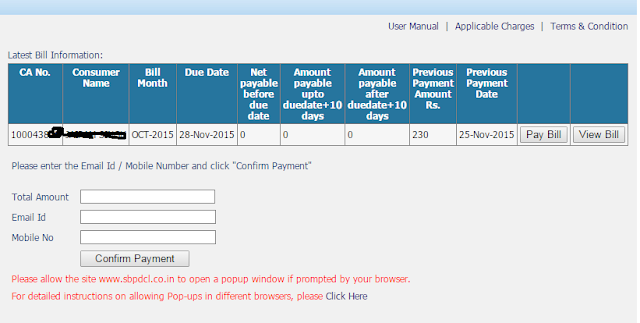 Once you click Confirm you will be see details of the payment as follows on the same page. 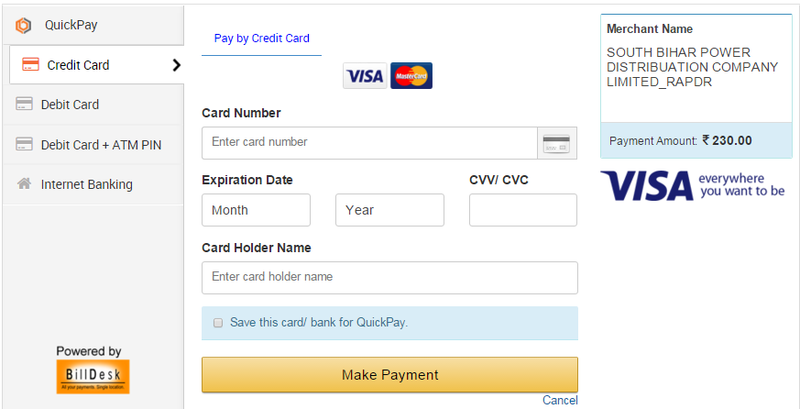 Click on Pay Now to proceed to the payment gateway. Ensure that you allow pop-ups as a new screen will open to allow for payment. 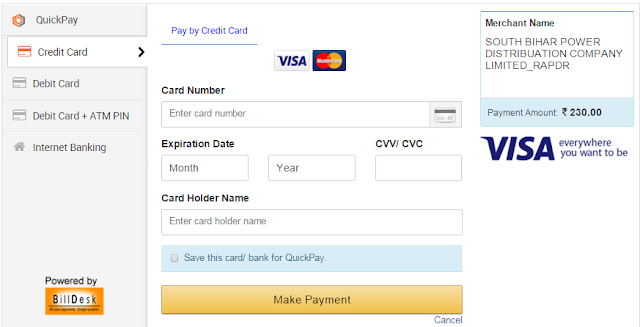 In this step you can see the different payment options of making the payment. 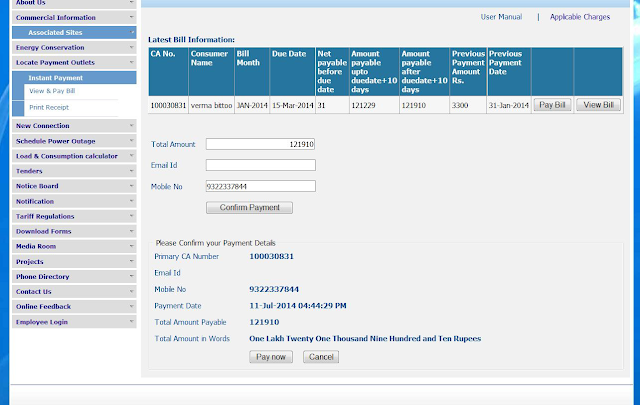 The bill can be paid through Credit/Debit or Internet Banking as shown below. You will sent the payment receipt through e-mail. You can also download payment receipt for your earlier payments by entering your CA number on the site. Enter your CA number in the box as shown below. You will then be taken to the following screens from where you can save your payment receipt. In case of any concern with regards to payment, complaints can be reported at Toll Free Number of SBPDCL at 1800-345-198. 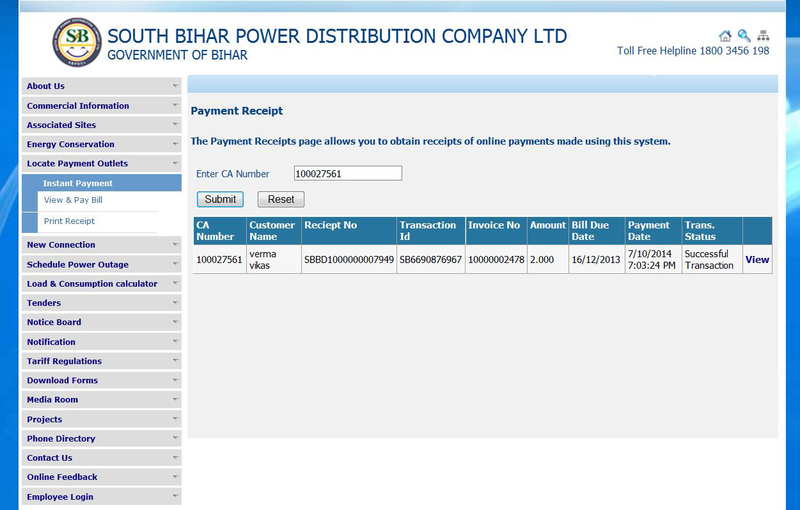 Do let us know if you face trouble in making the payment in the comment box below.